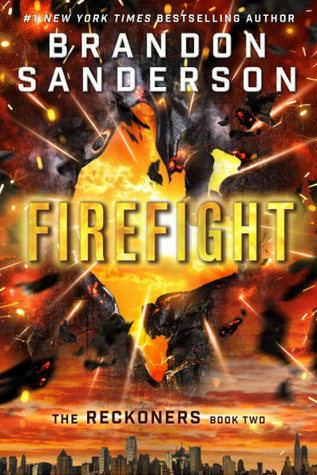 Deadline Hollywood has the news that YA author, Brandon Sanderson has two film deals in the works. His series The Reckoners has been purchased by 20th Century Fox. 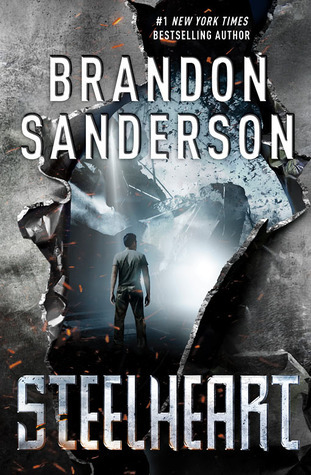 The deal includes the first two books in the trilogy, Steelheart and Firefight. This Australian import is the first in a fresh new illustrated chapter book series. Wolf has decided that he’s tired of being a bad guy so he recruits three fellow baddies to his new gang where they do good deeds. But it’s not so easy for Shark, Piranha and Snake to give up their own ways, like eating meat and people. Their first mission for good is to rescue a kitten stuck in a tree, but what kitten wants to climb down if they see those big teeth smiling at them? Their next job is to rescue 200 dogs from the dog pound. It involves Shark dressing up as a little girl, Wolf making a great shot, and Piranha and Snake showing the dogs the way out. But the plan doesn’t quite work out they way they want it too either. This book has the pep and feel of a comic book, filled with large fonts that add attitude to the pages and lots of illustrations. In fact, because of its many illustrations it will be a welcome early book for new chapter book readers who will love the humor as well as the pictures that nicely break up the text. There is a great zany energy to the entire book with one joke leading nicely to the next. The pacing is cleverly done with just enough time to catch your breath from laughing before the action starts again. Blabey’s illustrations are a large part of that manic charm. They are hugely funny. Emotions are shown broadly and wildly on characters’ faces. The shark barely fits into the car and not without a bump out for the dome of his head. There are incidents of eating one another and being bashed against walls. Each one is hilarious and children will love the slapstick comedy of it all. A funny delight, this illustrated chapter book will have young readers begging for the next in the series. I know I can’t wait! Appropriate for ages 5-7.